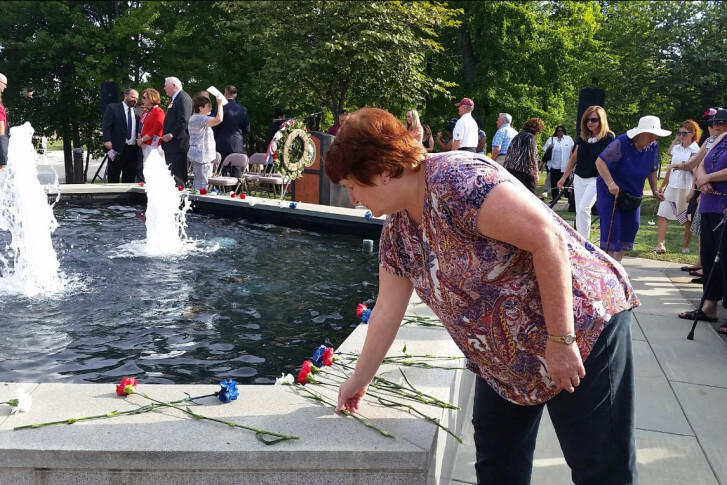 Prince William County leaders paid tribute Friday to those who perished in the Sept. 11, 2001 attack on the Pentagon, 22 of whom lived in the county. 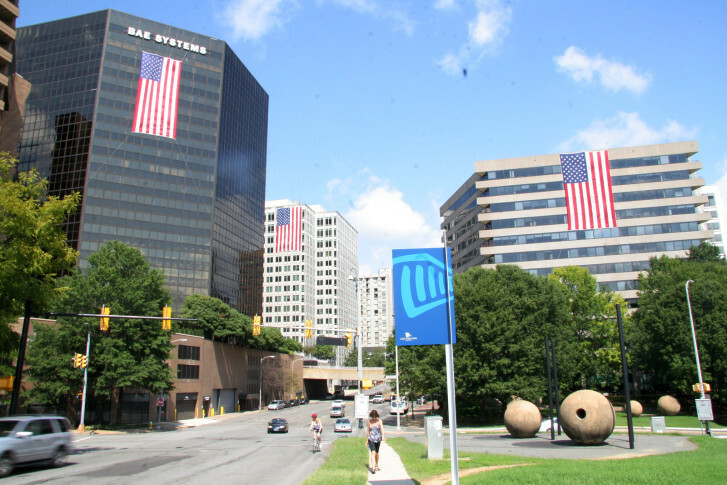 Twenty-five buildings in Rosslyn will mark the 15th anniversary of the Sept. 11, 2001 terror attacks with the now annual display of flags. 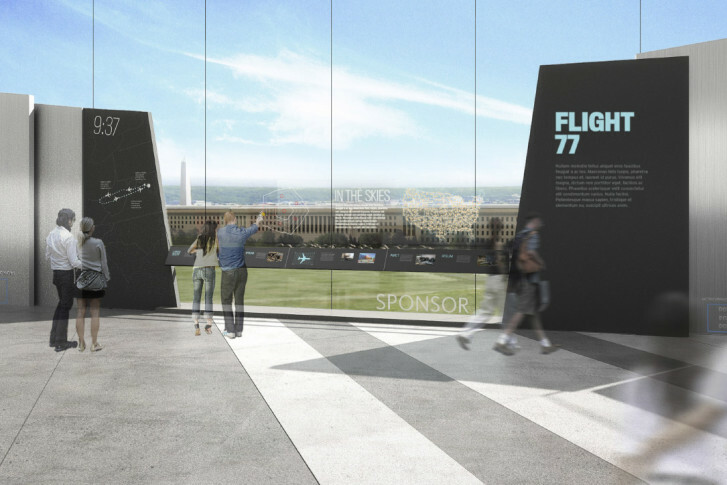 The Pentagon Memorial Fund has received its largest donation to date for its planned visitor center from the Maryland-based Diana Davis Spencer Foundation. 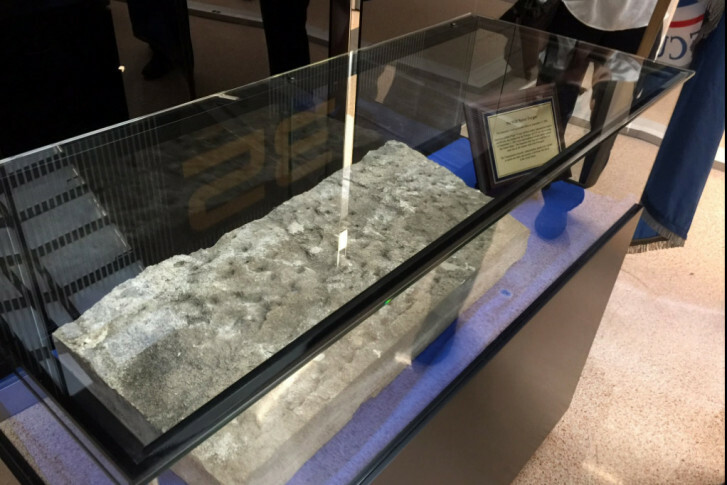 An artifact recovered from the wreckage of the Sept. 11 terror attacks at the Pentagon was unveiled Thursday at Dulles International Airport. 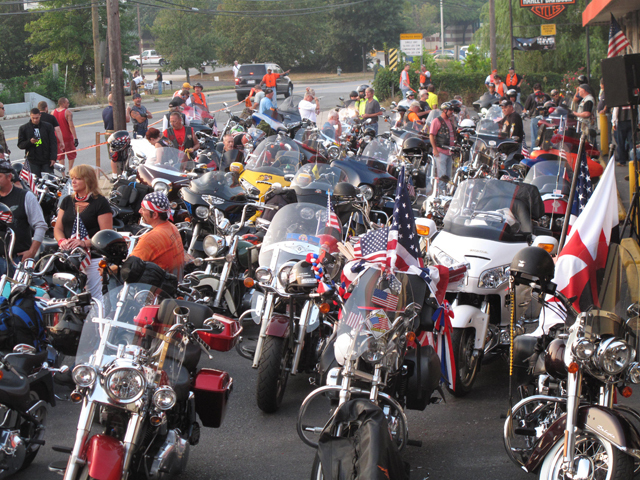 The last planned “America’s 9/11 Ride” is set to disrupt traffic in the D.C. region on Friday and Saturday morning as hundreds of motorcycle riders trek from the Flight 93 National Memorial in Pennsylvania, to the Pentagon and on to New York City. 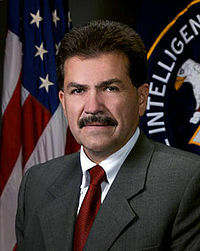 The man who ran a CIA interrogation program at the heart of a scathing Senate Intelligence Committee report tells WTOP that the program generated valuable intelligence that led to the capture of key al-Qaida operatives. 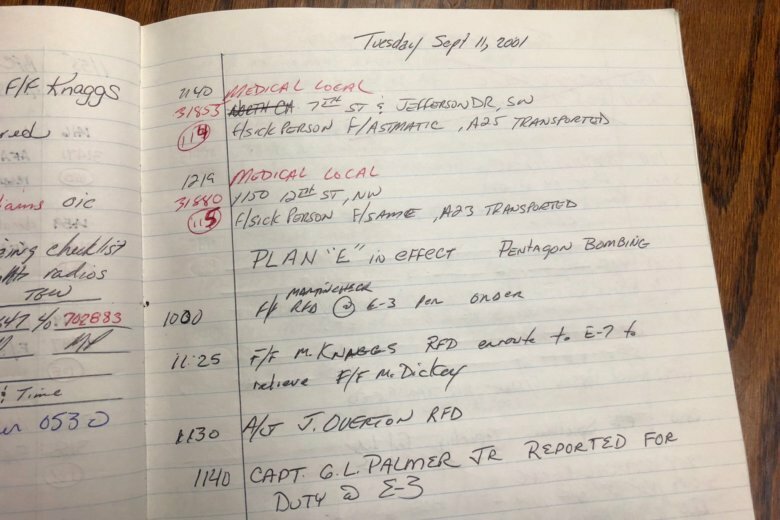 He was in the Pentagon during the Sept. 11 terror attacks and was locked-down at the Navy Yard during Monday\’s shooting rampage. And this Navy officer turned psychologist from Ellicott City, tells his fellow survivors to embrace life in the wake of the shootings. 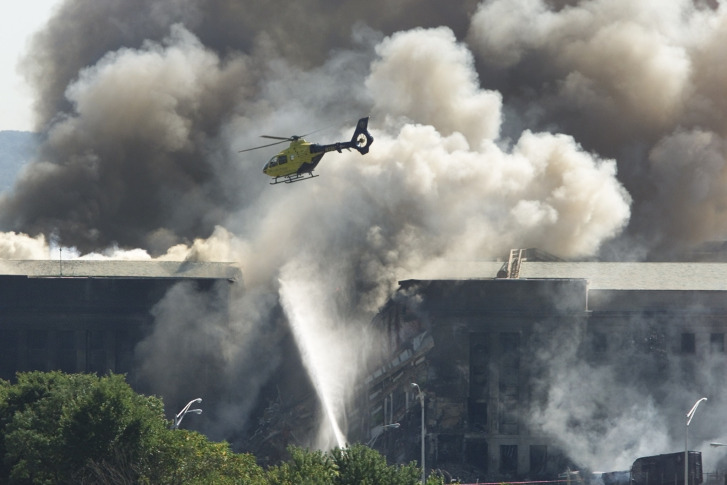 EarthCam took thousands of high definition images of the World Trade Center construction site and compiled them together into this 2-minute time lapse movie. 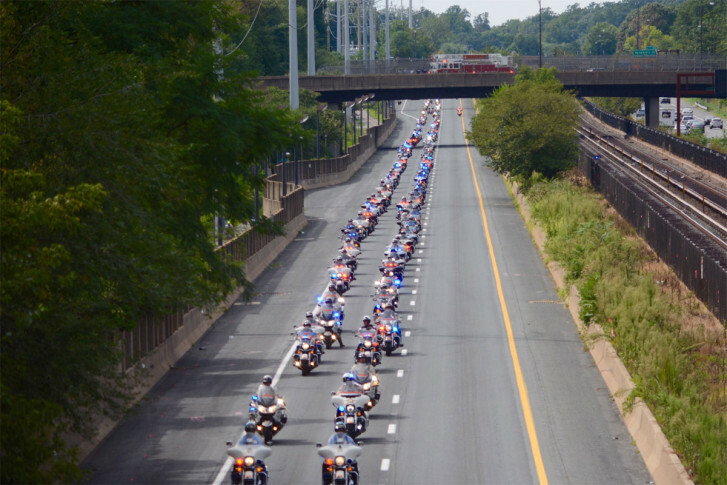 They were strangers when Sept. 11, 2001, dawned over the Pentagon. But within hours, two lives intersected amid tragedy and chaos and a bond was forged that will never be broken. 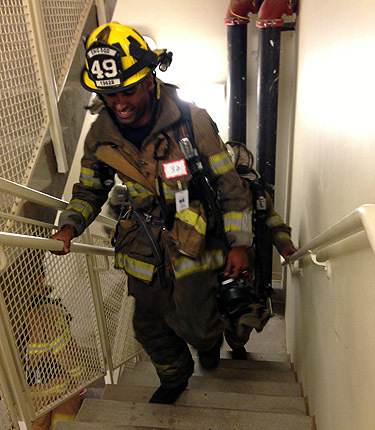 Local firefighters climbed 110 stories to honor fallen firefighters Saturday. 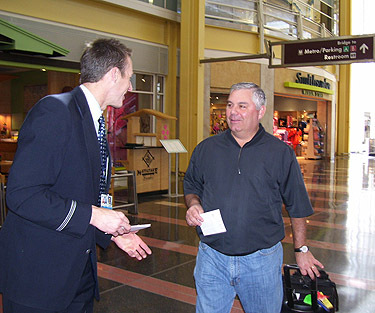 At airports across the country, flight attendants are handing out leaflets and trying to get the public to support their efforts to keep small knives off of airplanes.